Recently, the need for greater cooperation and partnerships, and working at regional scales, has been recognized, to tackle the complex issues facing the conservation of coastal and marine resources. Regional processes enable pooling of resources and expertise from a wide range of stakeholders, to work together to solve transboundary issues affecting the marine environment. An important aspect of CORDIO’s mandate is to contribute to improved regional decision making through partnerships that implement solutions for managing marine and coastal systems sustainably. CORDIO contributes as a knowledge organization, based on our experience in ecological and socio-economic aspects of coral reef and coastal conservation and management. 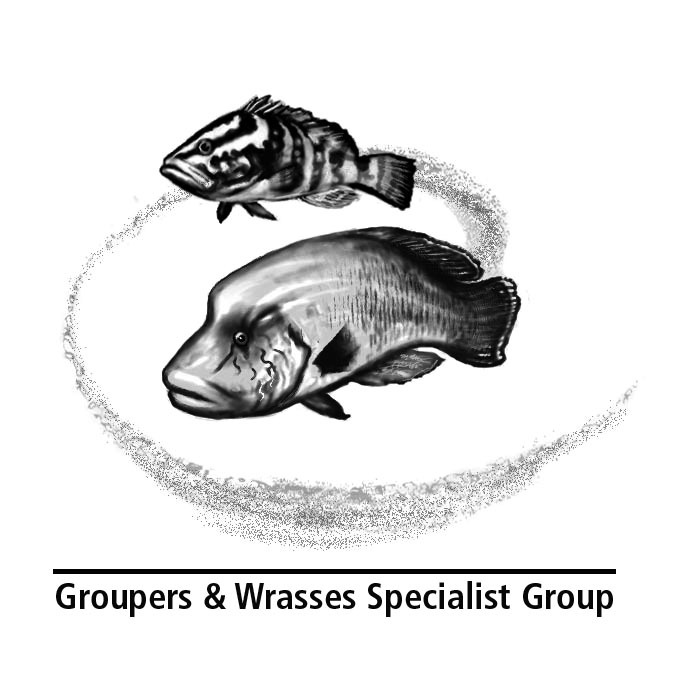 This has been made implemented through partnerships in regional bodies and associations such as the Nairobi Convention, the Western Indian Ocean Marine Science Association (WIOMSA) and the Consortium for the Conservation of the Western Indian Ocean (WIO-C). Regional processes are strongly influenced by global frameworks, so CORDIO is also active in global networks, including with the Convention on Biological Diversity’s marine programme, UNESCO’s World Heritage marine programme, the IUCN Species Survival Commission and global monitoring frameworks through the Global Ocean Observing System (GOOS) and Group on Earth Observations’ Marine Biodiversity Observation Network (GEOBON/MBON). The 1972 World Heritage Convention is one of the most significant international environmental agreements. Recognizing that World Heritage (WH) has a key role to play in ocean conservation, the World Heritage Marine Programme was established in 2005 with the goal to ensure the protection of outstanding marine places, and it now encompasses 49 sites in 37 countries. Over the years CORDIO has participated in several activities related to WH sites, including spearheading the regional ecosystem approach to identifying potential sites of Outstanding Universal Value (OUV) and working with IUCN to prepare updated guidance on applying the WH criteria to marine systems. 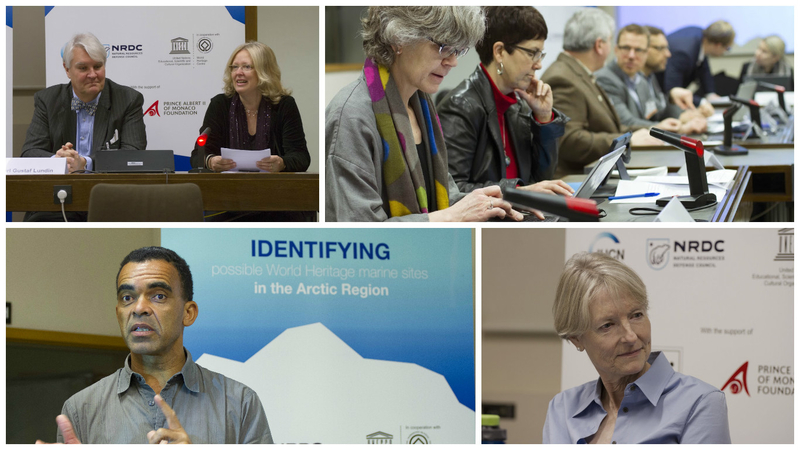 On 25 and 26 February 2016, Dr. David Obura and other experts attended a meeting at UNESCO Headquarters as part of a project to identify potential World Heritage marine sites in the Arctic. The meeting explored features the arctic possess that are potentially of OUV and thus merit inscription on the UNESCO World Heritage List. As Arctic sea ice retreats and the area becomes increasingly accessible to shipping and oil and gas development, there is a greater need for conservation. More alarmingly, the potential disappearance of Arctic sea ice due to climate change makes it impossible to preserve such features in perpetuity, as the World Heritage Convention is intended to do. 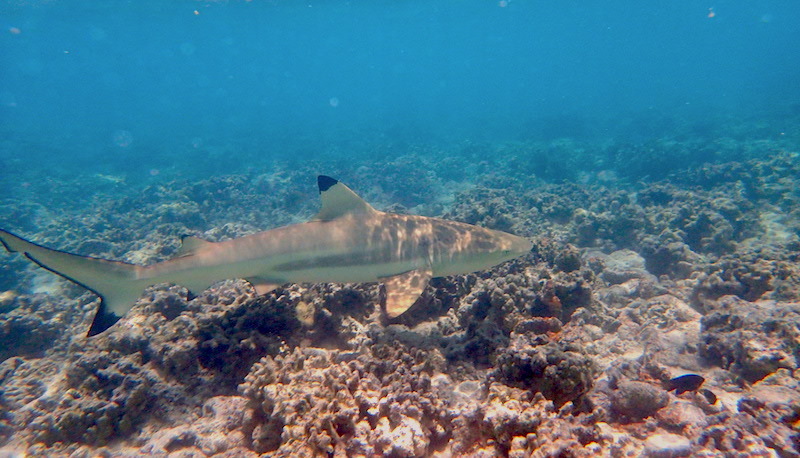 This parallels the case for coral reefs, which are the most common feature in currently inscribed in marine WH Sites – how can countries avoid their WH sites goig on the ‘In Danger’ list with the inevitable warming that is expected? Participants also strongly agreed that the OUV of the Arctic region should be considered from both cultural and natural perspectives, and further consultations with indigenous peoples is necessary to carry this work forward. Download the report. The World Heritage Convention applies only to land and sea within the jurisdiction of countries, its State Parties. Thus, 50% of the world’s surface, the High Seas, lies outside of the mandate of the convention. 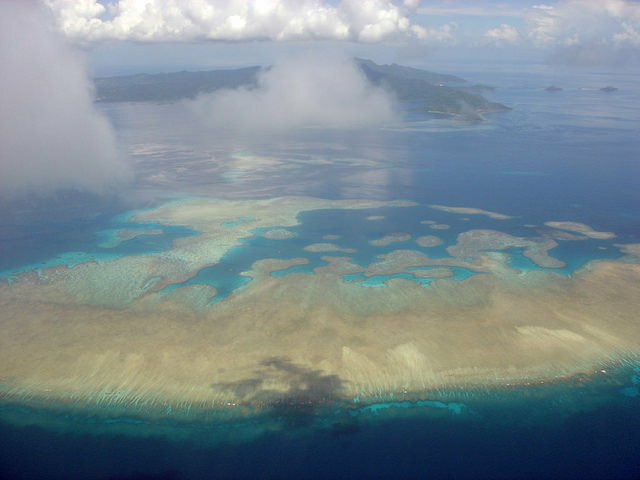 Yet this part of the world’s ocean is highly vulnerable to exploitation, and contains many feature with potential Outstanding Universal Value (OUV). In December 2016 UNESCO released “The Future of the World Heritage Convention for Marine Conservation. Celebrating 10 years of the World Heritage Marine Programme”. This milestone publication looks at what has been achieved in the 10 years since the establishment of the World Heritage Marine Programme, and what the future holds over the next decade. 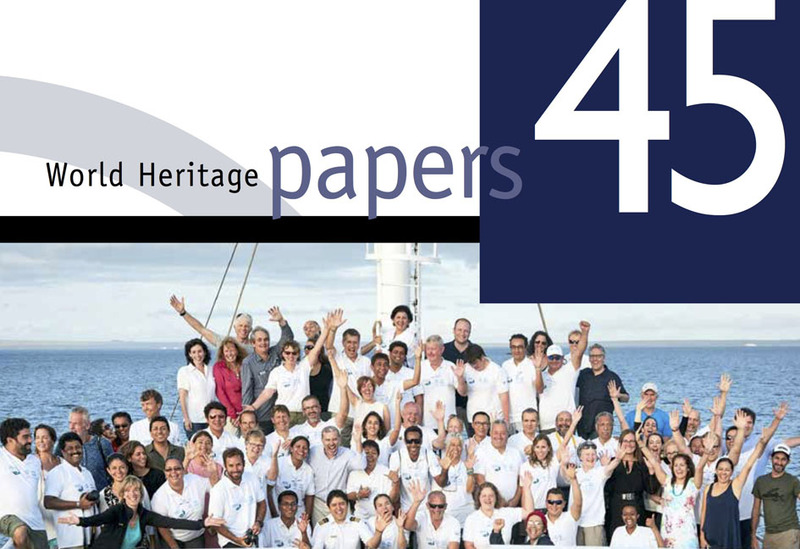 CORDIO participated in this new publication, leading Chapter 7 on identifying gaps in the marine World Heritage list, and were part of the teams considering applications of the World Heritage criteria to the Arctic (Chapter 8) and the High Seas (Chapter 9). Download the report. Going forward, CORDIO will look to continue working to inform decisions to establish new marine WH sites both regionally and globally. 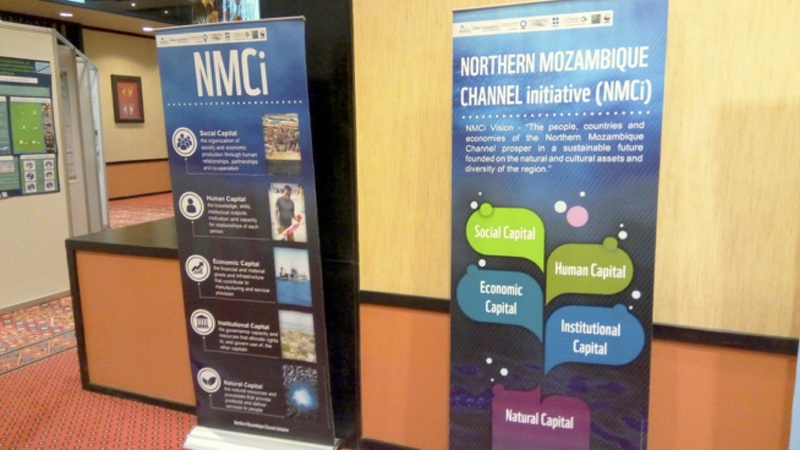 Spearheaded by CORDIO and WWF staring in 2012, the Northern Mozambique Channel initiative (NMCi) was established to help make the Northern Mozambique Channel (NMC) a model of integrated ocean management based on sustainable development and Blue Economy principles. 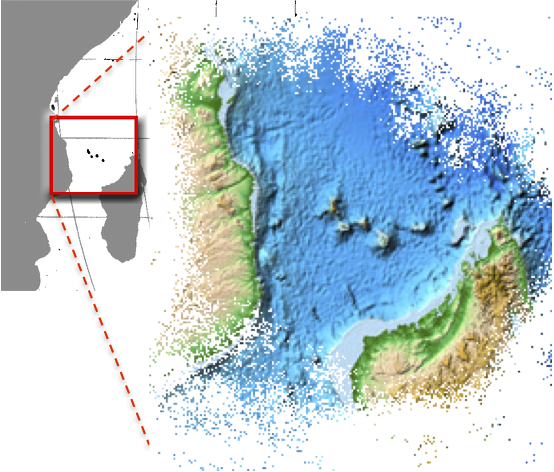 Informed partly by CORDIO’s work on coral biogeography, the NMC area is increasingly recognized as the second richest peak for coral biodiversity in the world. It is alsoa rich fishing ground for tuna, a strategic shipping lane supporting 30% of global tanker traffic and has over 100 trillion cubic feet of natural gas. Since the project began CORDIO has been working with governments, communities and NGOs to develop integrated solutions that will secure sustainable futures for communities and safeguard natural assets. Since 2014, more international marine conservation organizations have joined the initiative under the umbrella of the WIOC (Consortium for Conservation of the Western Indian Ocean. Click these links for further information on the initiative as a whole, is and for a map of partners’ projects. – preparing a range of publications documenting and supporting work in the NMC, including the NMC Background Document, the GEOBON Handbook on marine monitoring methods, and a UNEP book on Ocean Management.